We were sworn to secrecy and couldn’t tell you at the time—but when Sam and Duncan flew off on their ‘Top Secret Mission’, two very special people were heading over to join them: pop singer Dami Im, and husband Noah. Dami and Noah are long-time supporters of Compassion, and they sponsor several children already. So when they were asked to join in the Hope 103.2 Sponsor-A-Village project they didn’t hesitate. 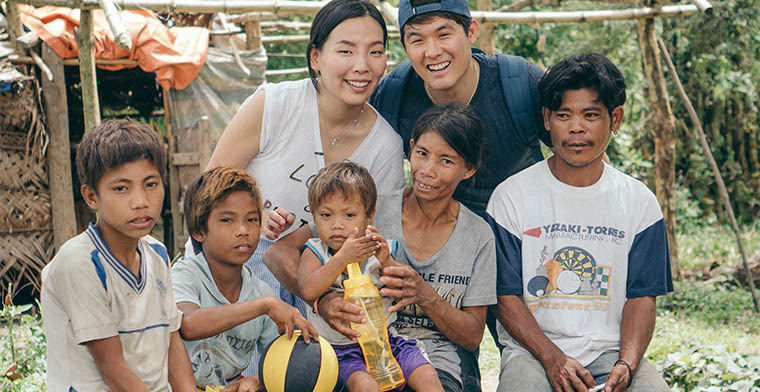 During their visit to Masbate Island in the Philippines, the pair took under wing yet another sponsor child: three-year-old Rodney, who is the youngest in a family of five children. Dami was moved to see the conditions little Rodney lived in. “We got to see where they were living, their house, and their mum and dad, and we had a chance to get to know them and talk to them a little bit,” she said. Meeting families face to face has made child sponsorship so much more real for Dami and her husband. 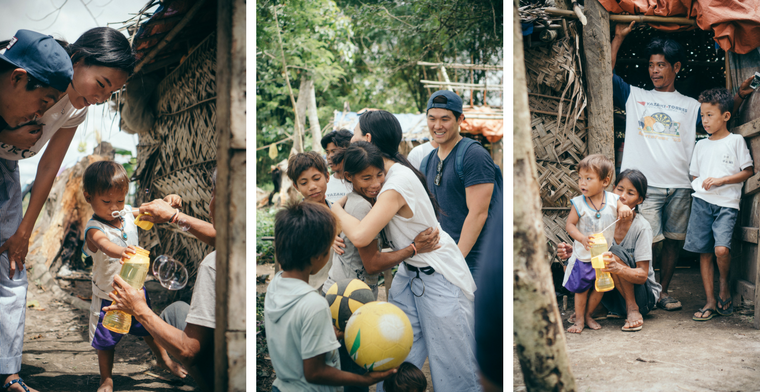 “Seeing them in real life, you see that they’re real families,” she said. “They all have their own stories. They’re trying really, really hard to make ends meet, and they want the best for their children, but it’s just really hard. Rodney’s parents were in tears learning they had a sponsor for their littlest boy. “They were just so grateful that somebody would actually reach out and give them this chance at a better life for their children,” Dami said. 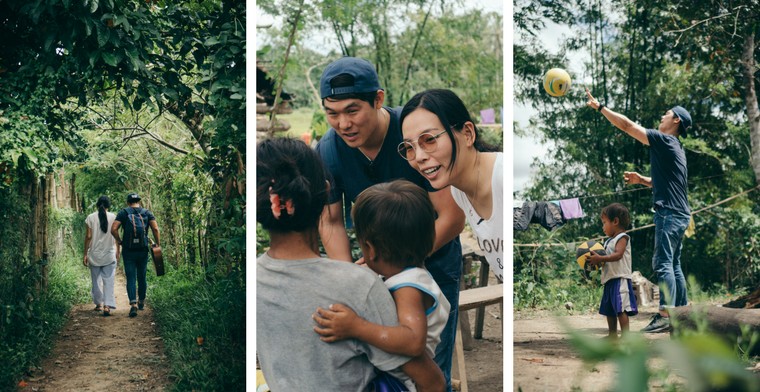 Dami Im famously turned down the opportunity to tour the world after her Eurovision appearance in 2016, because she had already planned to visit Uganda’s slums to meet her sponsor child Jovia. Her decision was unconventional for her industry, but in Dami’s mind visiting her sponsor child right after Eurovision was an act of God, because it would bring the most possible attention to the need of children in poverty. Dami encouraged others to get on board the Hope-Compassion Sponsor a Village project. Above: Dami and Noah Im with their Compassion sponsor child Rodney, and his family.